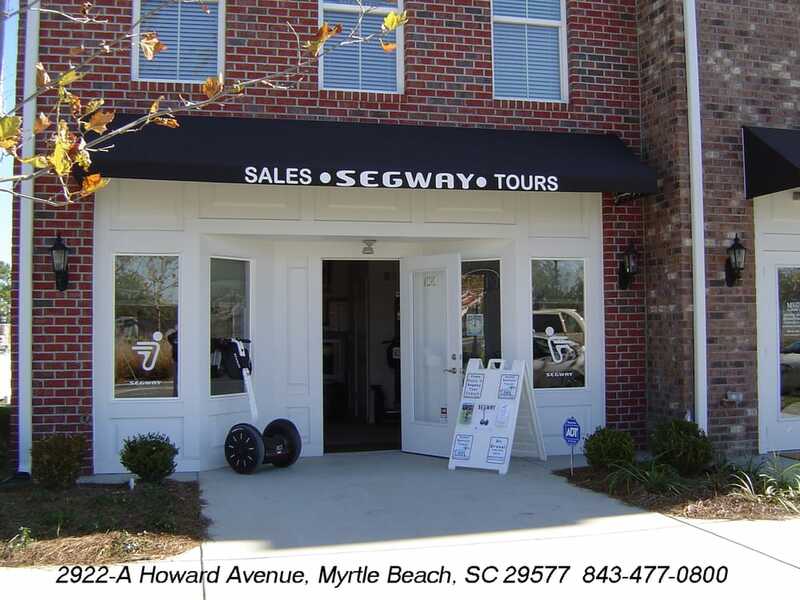 Myrtle Beach Segway is an authorized dealer and service center for the Segway® Personal Transporter (PT), and your source for Segway PT products and services in the Carolinas. Our goal is to make these areas Segway PT friendly while offering the latest in eco-friendly transportation. Our customers are our number one priority. For your pleasure we offer a variety of PT tours, rentals and events suited to your needs. 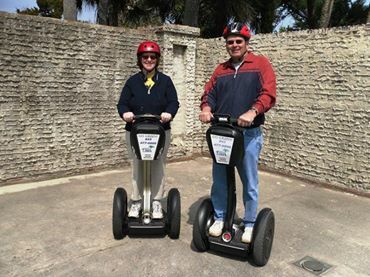 Advance purchase is highly recommended for our Segway PT Tours! Come out and ride today. The Eco-Friendly way to play! Reservations Required. Tours Sell Out! 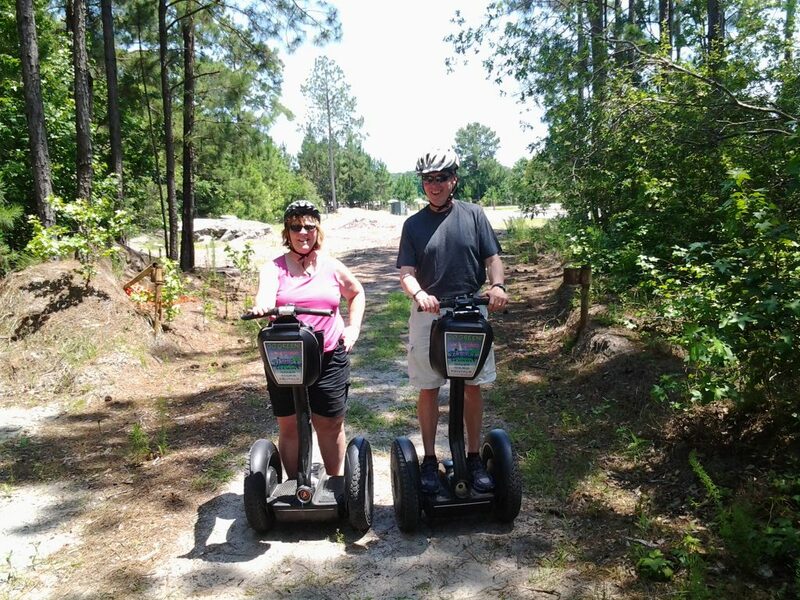 Come and join us for a Segway PT Glide at one of the Grand Strand’s newest venues. We are located at the North Myrtle Beach Park & Sports Complex. This complex offers a variety of sports venues as well as fun activities for the whole family. The Segway PT Experience includes a brief training session to assure that all patrons are fully versed as to the function and safety while riding a Segway PT. Then off on the glide, starting with a cruise around the complex for some fun “gliding”, and then into the woods we go for some nature, shade and photo ops! This is a great family activity and is easy to do. Tour Schedule: Monday thru Saturday at 10:30 AM & 1:30 PM. Once in the park, please follow the signs around the park for the Segway Experience. We are located at the far end of the soccer fields parking lot. Limited to eight patrons on each tour. With advanced notice, we can handle larger groups. Please call for details. 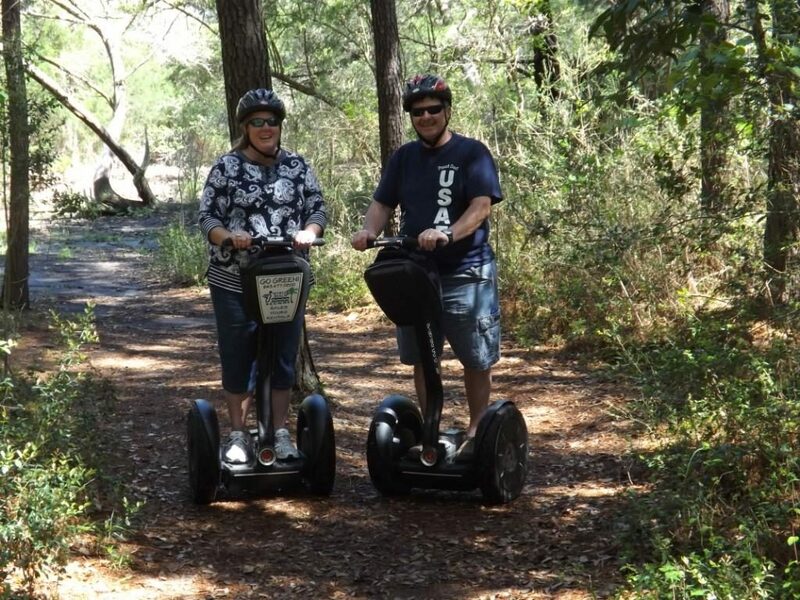 Come and join us for a Segway PT Glide at one of the Grand Strand’s most beautiful wetland and wildlife preserves. 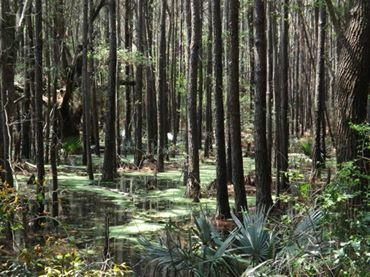 Nature lovers will enjoy the park’s Environmental Education Center and the chance to see loggerhead turtles and other endangered plant and animal species up close. The park’s freshwater lake along the causeway is a sure-fire place to see alligators basking in the sun, a variety of bird species and maybe even a mink or two. 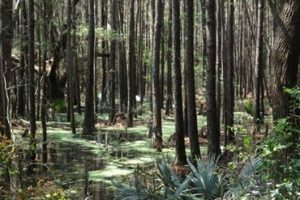 Known for its natural beauty, Huntington Beach State Park was the former winter home of Anna Hyatt and Archer Huntington, sculptress and philanthropist, respectively, who left the park and adjacent Brookgreen Gardens as their legacy. There’s also Atalaya, the picturesque, Moorish-style castle which was their residence and sculpting studios. This tour is around two hours in length with training. Still plenty of time to enjoy the beach and relax before or after your “Segway PT Experience”. Meet at Huntington Beach State Park in the visitor center parking lot. For this tour there is an entry fee to the State Park of $5 per person for the whole day and is payable at the main gate. This fee goes to the park authority and is not part of our fee. Advance purchase is strongly recommended, as tours often sell out quickly. To maximize your chance of getting the day and time you prefer, please book well in advance. You can do this online or over the phone using only Visa, Mastercard, Discover or American Express. 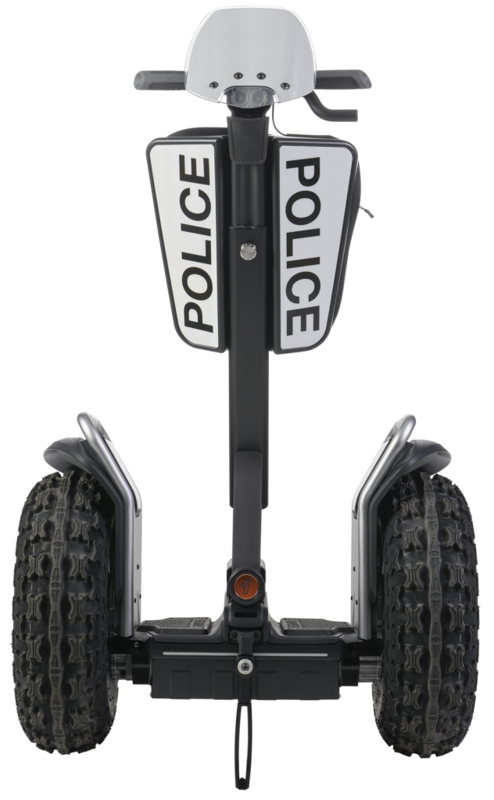 Although riding a Segway PT is relatively easy, a minimum of about 80 pounds is needed to stop the machine. Also, riders should have the ability to make motions such as climbing and descending stairs without assistance. 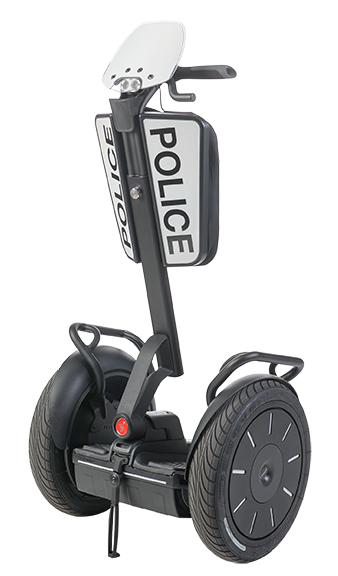 The Segway PT is not appropriate for those weighing under 80 pounds or over 300 pounds. Those with physical impairments should use caution as the Segway PT is not meant for everyone. Please call before booking to inquire if you are able to ride. I have children in my group that are under 16 years old. Can they still come on the tour? Call us and we will do our best to accommodate your group. An adult or guardian must accompany children under 18. We ask that you arrive at our location 15 minutes prior to your tour start time for preparation and paperwork. How much time of the tour is actually spent on a Segway PT? The majority of your time will be on the Segway PT. We will start off with a short training session and then be on the Segway PT for the remainder of the time. There are stops along the way to rest and take pictures. How do I learn to ride a Segway PT? All customers are required to take a hands-on training session to ensure a safe and enjoyable experience. Riders are trained on Segway PT operation and safety. All riders are required to wear a safety helmet. You can bring your own. We maintain contact with the patrons for weather issues. The tours can be done in light rain. Purchased tickets are non-refundable since your space is being guaranteed on the tour. If you think you can’t make your scheduled tour time, give us a call and we can reschedule you subject to availability. All Segway PT riders must sign a liability waiver before participating. Riders under the age of 18 must have a parent or guardian sign for them. Do Segway PTs have the ability to store bags or purses? We have the ability to transport necessary items i.e. cameras, phones, drinks, etc. These can be carried in the Segway PT bag on each unit. Always wear comfortable clothes and footwear. Closed toe shoes are preferred. Bring drinks with you, especially during the Summer months. Tips for your guide! Yes, restrooms are available at the meeting location, but there are no easily accessible restroom stops along the tour route. If you should need to stop, please let us know and we will try to accommodate you. 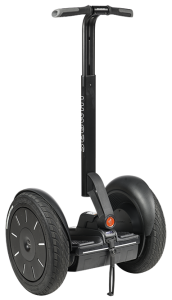 What is the Segway Personal Transporter (PT)? 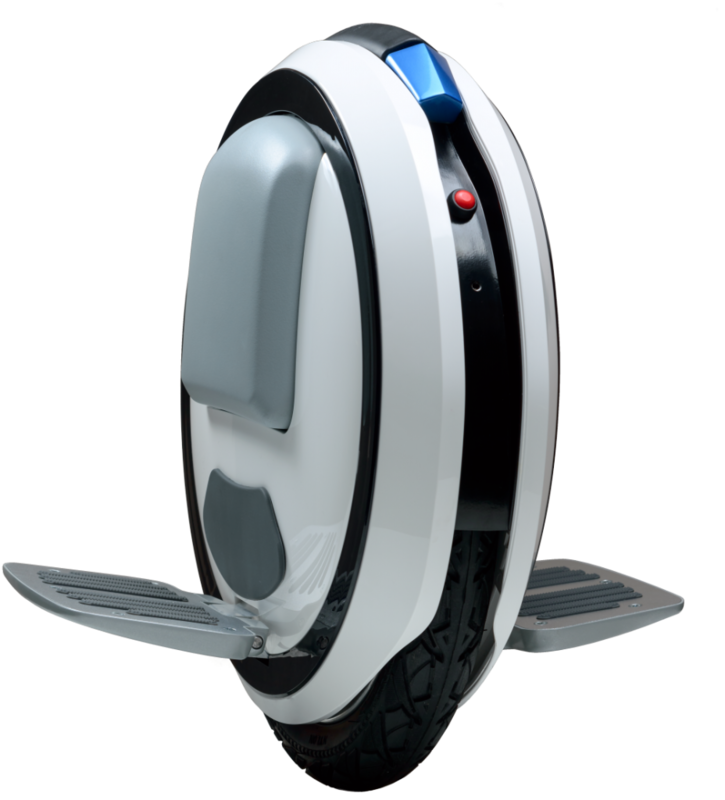 The Segway Personal Transporter (PT) is the first self-balancing, electric-powered transportation device. 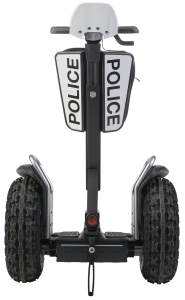 With dimensions no larger than the average adult body and the ability to emulate human balance, the Segway PT uses the same space as a pedestrian, and can go wherever a person can walk. How fast do the Segway PTs go? Segway PTs have a top speed of 12.5 mph. Myrtle Beach Segway does not limit your speed. 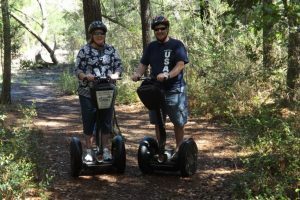 The Segway PTs were designed to have fun and we love to have fun. Just look at the customer ratings! The utmost care and research has gone into ensuring that the Segway PT is safe. 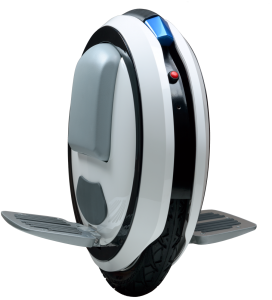 The Segway PT’s balancing technology is truly revolutionary and provides an exceptional riding experience. 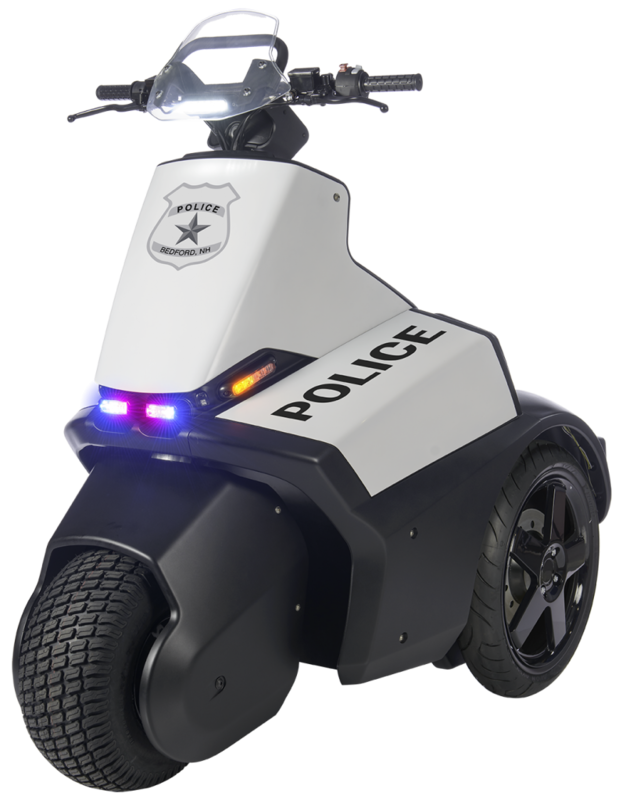 The Segway PT has redundant systems and sophisticated alerts built into its design, and many thousands of hours of use have demonstrated that the Segway PT is safe when used appropriately. It is important that Segway PT riders understand their responsibility to ride safely. Proper skill level and understanding of the Segway PT prevents injuries caused by loss of control or misuse. This breakthrough technology, termed “dynamic stabilization,” is the essence of the Segway PT. Dynamic stabilization enables the Segway PT to work seamlessly with the body’s movements. Gyroscopes and tilt sensors in the unit monitor a rider’s center of gravity at about 100 times a second. 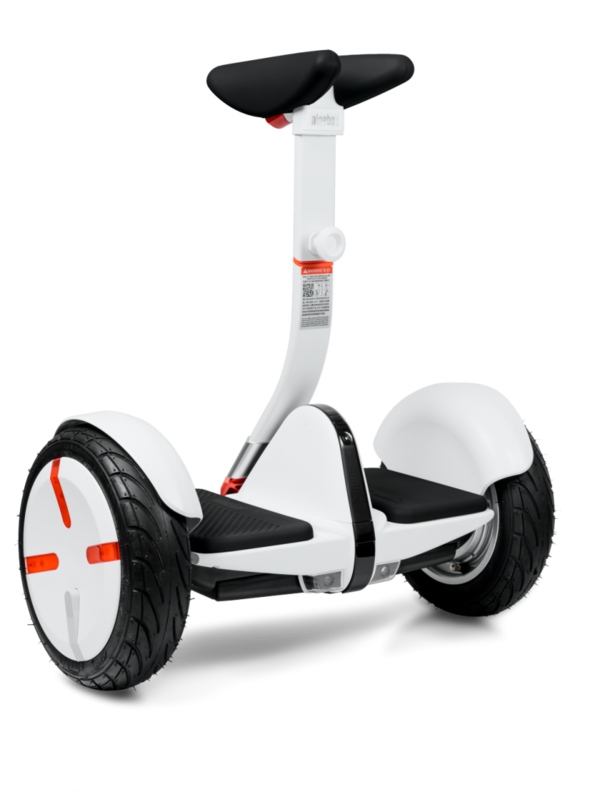 When the rider leans slightly forward, the Segway PT moves forward. When the rider leans slightly back, the Segway PT moves backward. 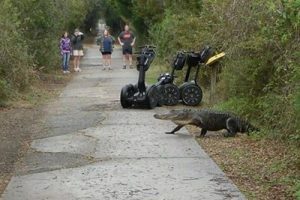 Are Segway PT rentals available through Myrtle Beach Segway? Yes. Check out our rentals for rates. 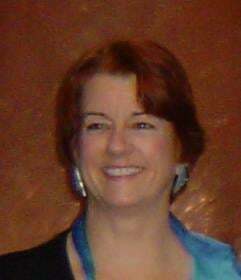 Can I arrange for a private/corporate/business event? 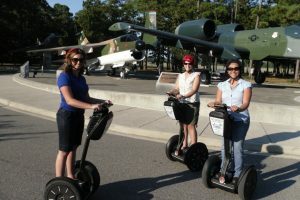 Yes, we offer private group tours, up to 25 Segway PTs, for corporate functions and private events. 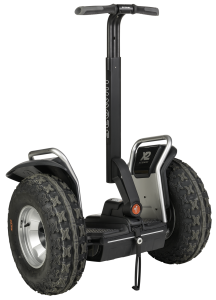 For more information, please contact Myrtle Beach Segway at 843-477-0800 or email info@mbsegway.com. 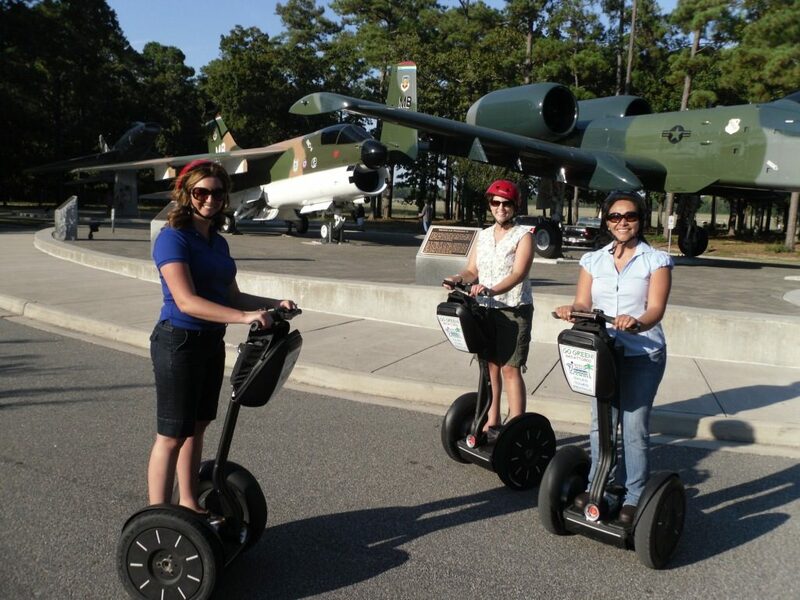 Experience the feeling of “Gliding” on a Segway PT, while taking in the new Market Common District, located on the old Air Force Base. This new location has all the amenities that you need to enjoy your day. 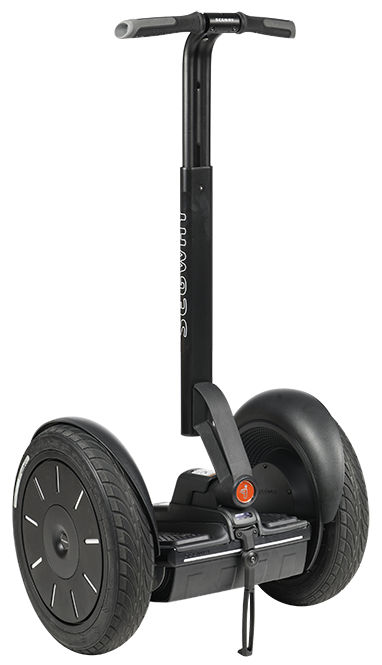 Glide on a Segway PT and then enjoy lunch or shopping at one of the local eateries or shops. Or catch lunch and Glide around and take in the natural beauty, wildlife and history of this newly renovated district. The rental for one hour can cover the whole area and will not take up your whole day, although there is plenty to do at Market Common. Take a break and have some fun the “Eco-friendly” way. Which ever way you play, all are sure to enjoy the “Segway PT Experience”. 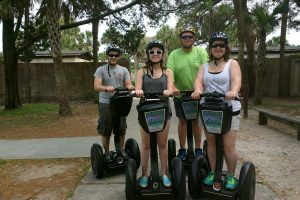 At Myrtle Beach Segway we offer an option of one to two hour rentals in the Market Common District. 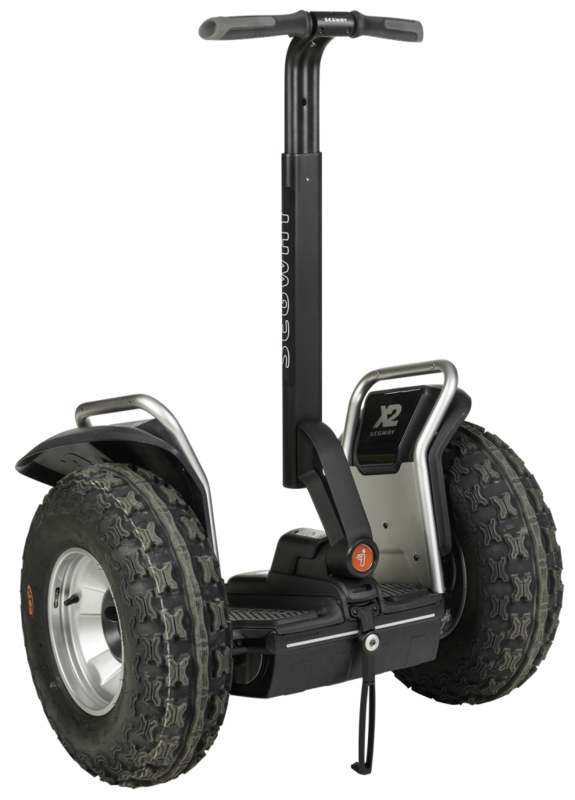 For those who want the “Segway PT Experience” without the constraints of a guided tour. There are plenty of areas to explore at the Market Common District. Make it an outing and enjoy a meal before or after your “Glide”. All rentals will include training as to the operation, etiquette and riding of the Segway PT. Helmets will be provided. 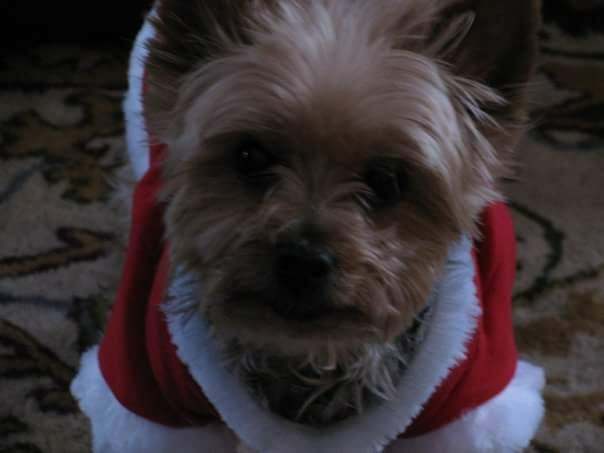 Renter must be 18 or older and have proper ID. Reserving ahead is highly recommended. Reservations are Required, Rentals are subject to availability. 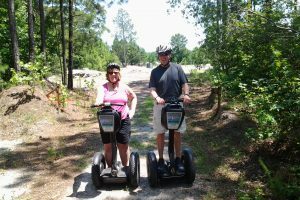 Myrtle Beach Segway offers a variety of event options to suit your needs. Whether you are planning a business or personal function, we can customize the appropriate package for you. 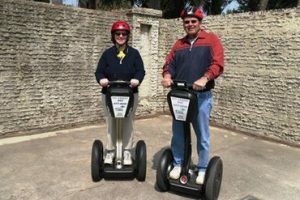 Whether you have the need for a bonding experience, company picnic or just plain fun, the Segway PT is a perfect match for your outing. The Segway PT Experience can be delivered to your event or added on to one of our existing tours. An average sized appropriate area is all that is needed. We do the rest. Make your next event an exciting time that will always be remembered and talked about. Everybody loves a get together. It may be a Birthday, Bah Mitzvah, Graduation, Family Reunion, Picnic or just for fun. Adding the Segway PT Experience to any event will have everyone talking about the best party they have ever been to. We can bring the Segway PT’s to you or we can have you along on one of our tours. It’s up to you. Bring your smile and we will have you “Gliding” in no time at all. Level One – This package is great for birthday parties, family picnics and small corporate functions. Minimum time is 2 Hrs, with three units at $125 per unit. Add extra units at $100 per unit. Add extra time at $39 per hour per unit. Includes delivery and staging of units, training, helmets and supervision of riding area. Level Two – This package is for larger gatherings and corporate functions. Minimum time is 2 Hrs, with six units at $100 per unit. Add extra units at $75 per unit. Add extra time at $39 per hour per unit. Includes delivery and staging of units, training, helmets and supervision of riding area. Market Common Scavenger Hunt: NEW!!! This package is for groups that want a bit more of a challenge during their function. Glide around the Market Common District and gather answers to given clues. We can handle groups of 2-16. The rate is $59 per person and includes training, helmets and a lot of competitive fun. 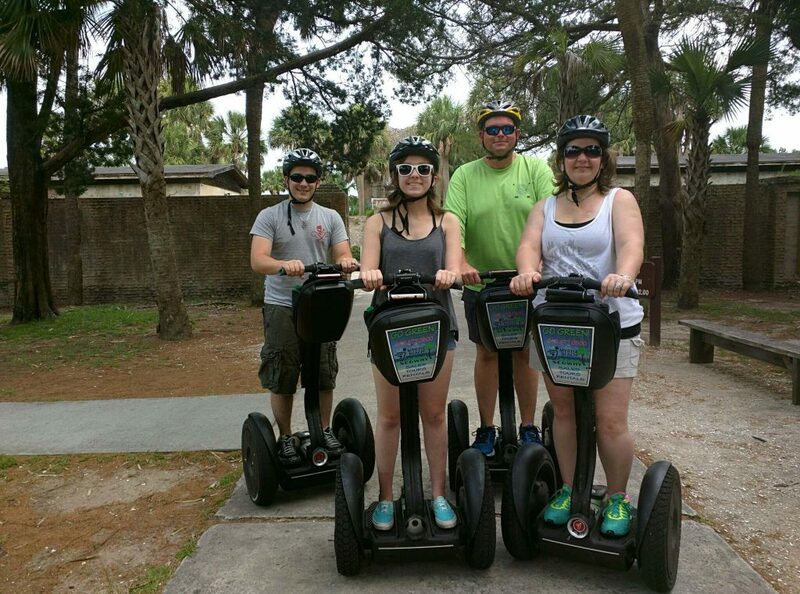 Myrtle Beach Segway is a Segway Authorized Dealer for the Segway Personal Transporter (PT). 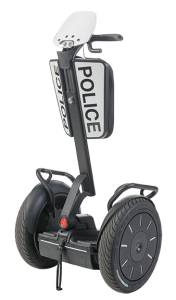 As a dealer we provide sales and Level 2 service for the PT and Segway related products. Whether you are an individual or an organization, we can accommodate your needs.  With over 10 years’ experience, you can count on Myrtle Beach Segway to offer the best in customer care. Our number one priority is you. Contact us today, to get out and play, the “EcoFriendly” way. 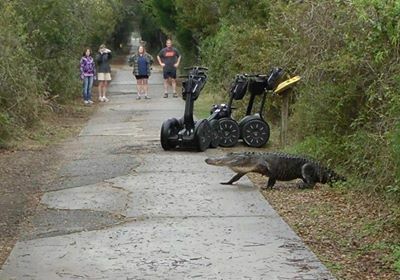 Copyright © 2019 Myrtle Beach Segway. All rights reserved. Segway and the Segway ‘flyguy’ logo are registered trademarks of Segway Inc. Trademarks not owned by Segway are the property of their respective owners as designated. 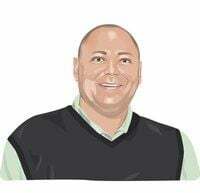 © 2019 Segway Inc. All rights reserved.